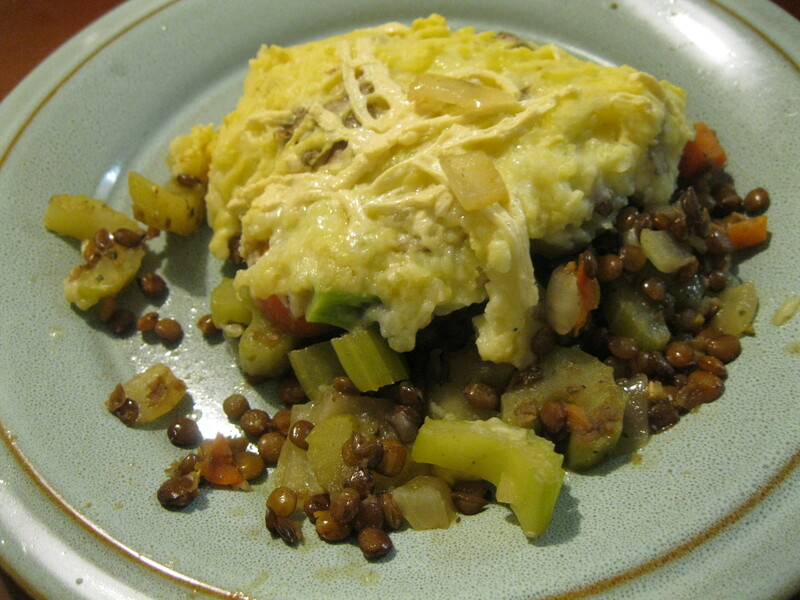 Back when I was a little kid of 19 years, I used to get shepherd’s pie at my university cafeteria the week of St. Patties and wanted to recreate something like it, only vegan and gluten-free for this St. Patrick’s day. 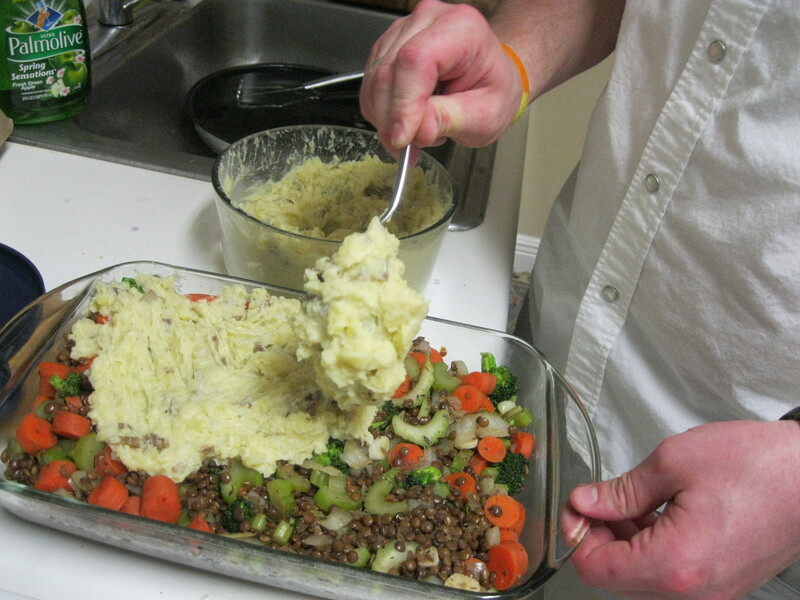 What’s more Irish than potatoes and veggies baked up to steamy perfection? Probably beer and leprechauns but I haven’t brewed beer in years and hear that leprechauns are tricksters. You’ll need the following to prepare this dish. 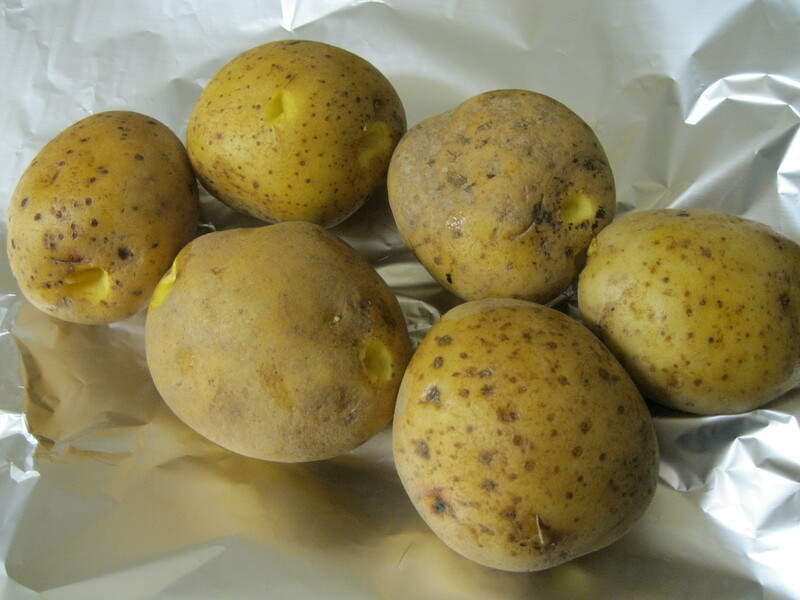 To start Brent washed, cut the eyes out and wrapped 5 fist sized potatoes in tin foil. We used Yukon gold but any sort will do. He put them into the oven to bake for 50 minutes at 400F/200C. 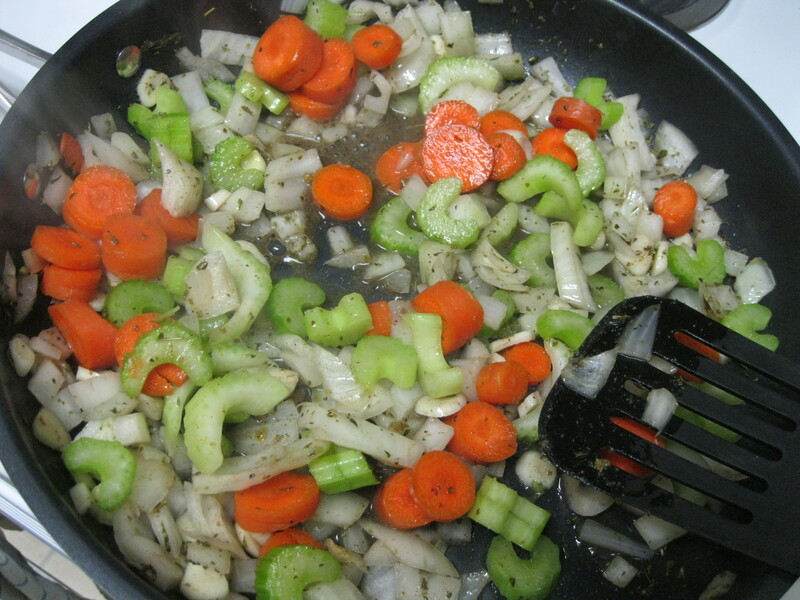 While that was happening we cut up the garlic, onion, carrots and celery. Those went into a pan with a little olive oil to saute lightly. 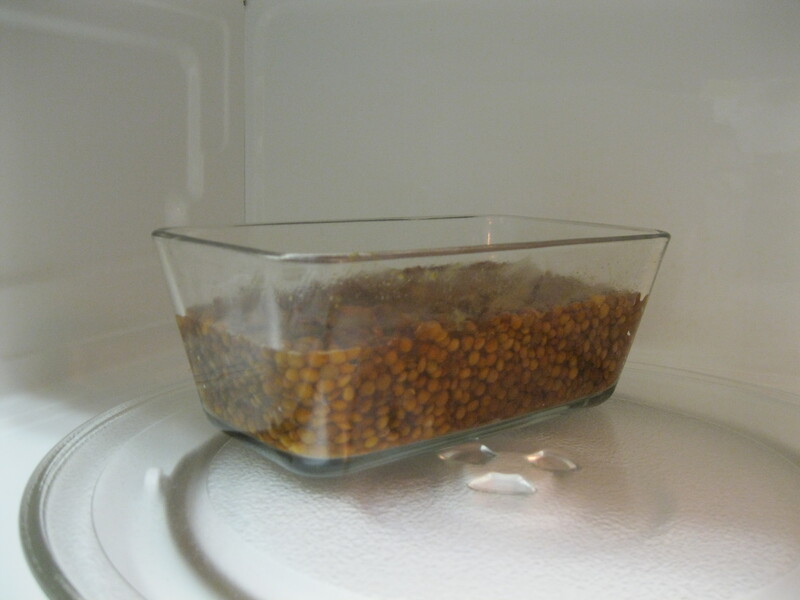 We prepared the lentils in the microwave with 2 cups of water and the veggie bouillon. 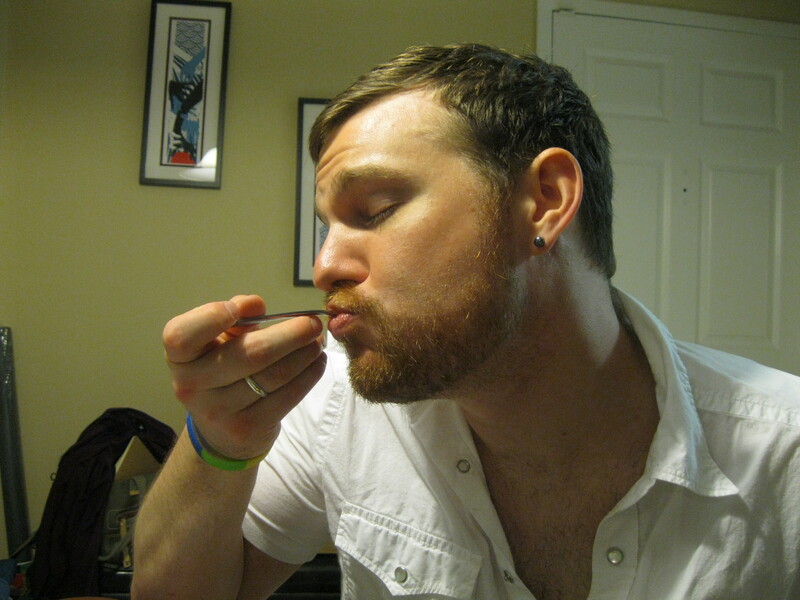 I like French lentils because they’re smaller and cook faster. They’re also a fabulous color and have a great hearty texture and delicate aromatic flavor. When the lentils are done you’ll want to check on the potatoes. Make sure that they’re tender before taking them out. I mashed them (skin and all) in a big bowl with almond milk, “cheese”, nutritional yeast and Earth Balance buttery spread. I added a little salt and pepper to taste. 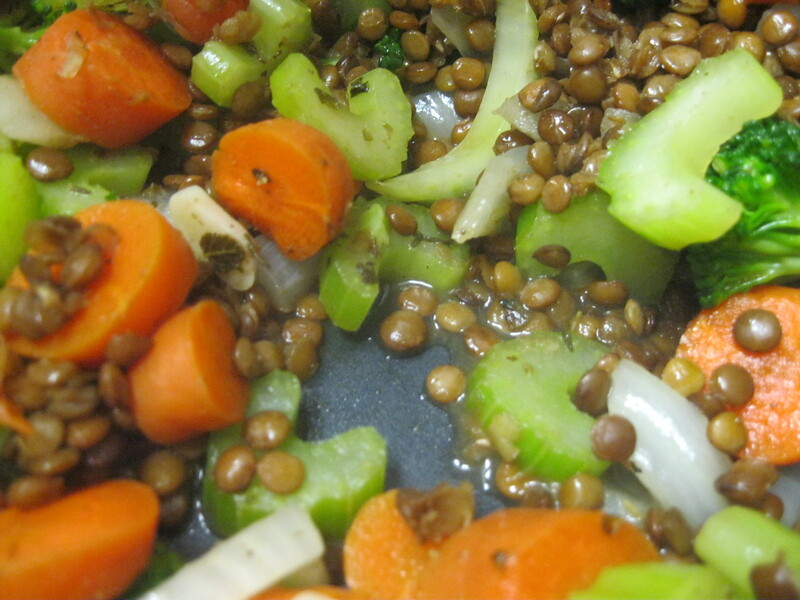 The lentils went into the fry pan with the rest of the veggies, sausage (if you’re using it) and added the spices. The sausage is really for flavor and this dish already has plenty so we’re not using any. I stirred them until they were fragrant, checked the salt and pepper and then dumped them into a large glass baking dish. 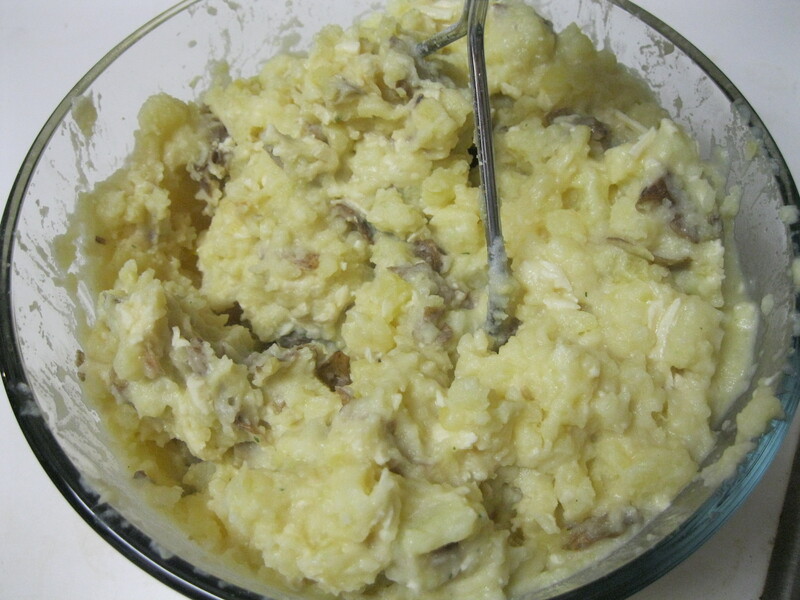 I smothered them with the mashed potatoes and baked at 350F/275C until the potatoes were brown on top. We served this with some bonus cheese and hot sauce but it didn’t really need it. Check out this happy satisfied face.